Counters are an essential part of any booth design, but no one said they had to be boring! 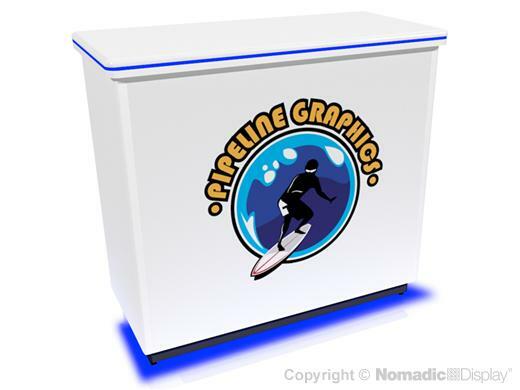 Entice your clients with some of the cool new features available with a Platinum Counter by Nomadic: LED color changing lights, charging station options, magnetic graphic panels, and more. 2 - FlatPack 300 - 14.02" x 29.72" x 52.56"